At Selo, the core principle behind all of our doorsets is that they must keep design simple. Our contemporary doors are all created to help architects, developers, and contractors do their jobs more easily, in order for the client to receive a top-quality, beautiful, and functional end product. Our products are split into three key types. The Arriva and Innova are both concealed frame doorsets, opening in opposite directions. 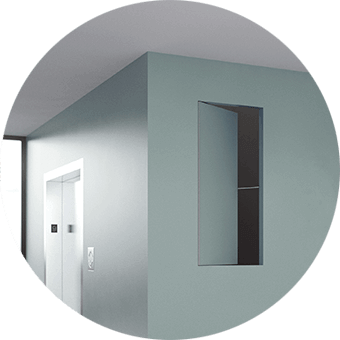 The Quadra, Una, Fuma, and Via are all riser doors or access systems to conceal cupboards, and the Enigma is our beautiful sliding pocket door system which saves valuable space and provides a minimalist appearance. 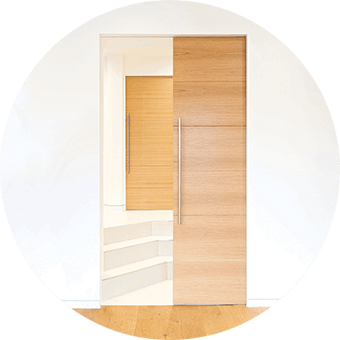 Our door systems can all be tailored to your exact needs. For example, we offer both non-fire rated and FD30 versions of our doors, and some are also available in glass, including the Enigma sliding pocket door. The appearance of your doors is also highly customisable. 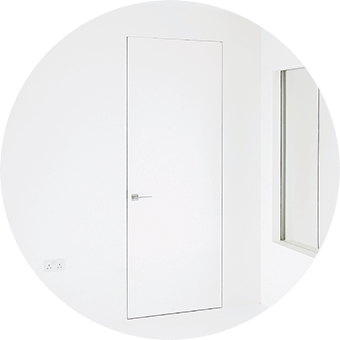 We can provide you with doors primed for painting, or pre-painted in your chosen colour. Veneered and laminated doors are also an option. Click on the products below to take a look at them in more detail.